In this week’s Friday Five, we’re taking a look at a future with a whole lot more electric technology. 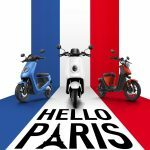 Give it a decade or so, and we’ll have everything from computer-modeled batteries to bikes that pay you to ride. Dive in! Who’s to Blame for Low EV Sales? Unfortunately, electric cars simply don’t sell as well as gas powered cars. For some, this may be because of the products themselves are less appealing, but Futurism found that a major reason for this disparity is that many car dealers simply don’t try to sell EVs. Could a change of attitude from salespeople be what we’ve been waiting for? Despite those pesky salespeople, the International Energy Agency has predicted that the number of EVs sold per year is set to triple in the next two years, and yield an annual 24% growth rate through 2030. That’s great news for the industry and the environment too! The future of battery technology may lie in quantum computers. Volkswagen is beginning to digitize much of its battery research through computer simulations. They have managed to create digital representations of the chemical reactions in a lithium cell battery, and hope to use this tech to find new types of battery. Have you ever wanted to be a professional cyclist? Neither have I, but now there’s an easy way to get paid to bike. 50Cycles have released an e-bike that mines crypto currency as you ride it. You read that right. Riders are rewarded roughly $25 USD in LoyalCoin for every 1,000 miles they ride. A bike that pays for itself! 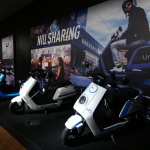 Paris, a city perhaps best known for hosting the 2018 NIU Launch Event and E-Mobility Summit, an event the world will never forget. On top of being such a historical landmark, Paris has food, architecture, art, and culture that rival any city in the world.